6:9 Full HD with 1920 x 1080 (max) resolution; 3,000:1 (typical) high contrast ratio; Mega Dynamic contrast ratio estimated at 8 million:1 (max); wide 178°/178° viewing angle for effective collaboration. S2240 T (Touch Screen) 6:9 Full HD with 1920 x 1080 (max) resolution; 3,000:1 (typical) high contrast ratio; Mega Dynamic contrast ratio estimated at 8 million:1 (max); wide 178°/178° viewing angle for effective collaboration. Designed to encourage collaboration and give productivity a boost, the Dell 21.5" touch monitor offers a high level of user flexibility for work, school or entertainment.Conceived with a high priority on environmental efficiency, the Dell 21.5" touch monitor features low power consumption and environment-conscious materials. 20 W typical power consumption: Energy use is up to 28.57 percent lower than the previous-generation Dell Touch Monitor. Power-saving features: Dynamic dimming lowers brightness of predominantly white screens. PowerNap, when enabled, dims the monitor when not in use. 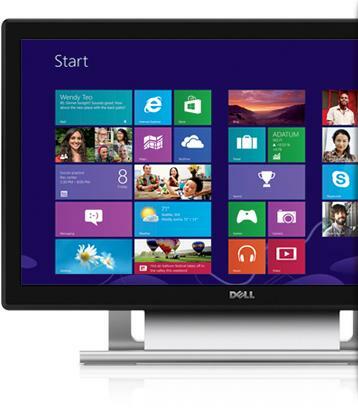 High environmental standards: ENERGY STAR qualified and EPEAT Silver rated, the Dell 54.6 cm (21.5) Touch Monitor also features arsenic-free glass and a mercury-free LED panel. To Recieve updates and possible rewards for Dell S2240T please sign in. To Recieve updates and possible rewards for Monitor please sign in.